I’ve done my favorite books of the year. not much else to do but publish some boring statistics of my blogging year. I reviewed 91 books. about 10 of those reviews were over at SFSignal. I conducted around 40 interviews, here, at Apex Magazine, and also at SFSignal. I got to attend some really fun conventions: ConFusion, AnimeMidwest, Context, and Grand Rapids ComicCon. I learned how to use Netgalley. I am *not* an early adopter, so this was a huge deal for me. Files magically showing up on the kindle is sorcery, i tell you! Including book (and a few movie, manga and tv show) reviews and a few commentary columns about geeky stuff, I wrote approximately 104,000 words. That’s slightly more words than Ender’s Game, and slightly fewer words than Harry Potter and the Prisoner of Azkaban. nice. 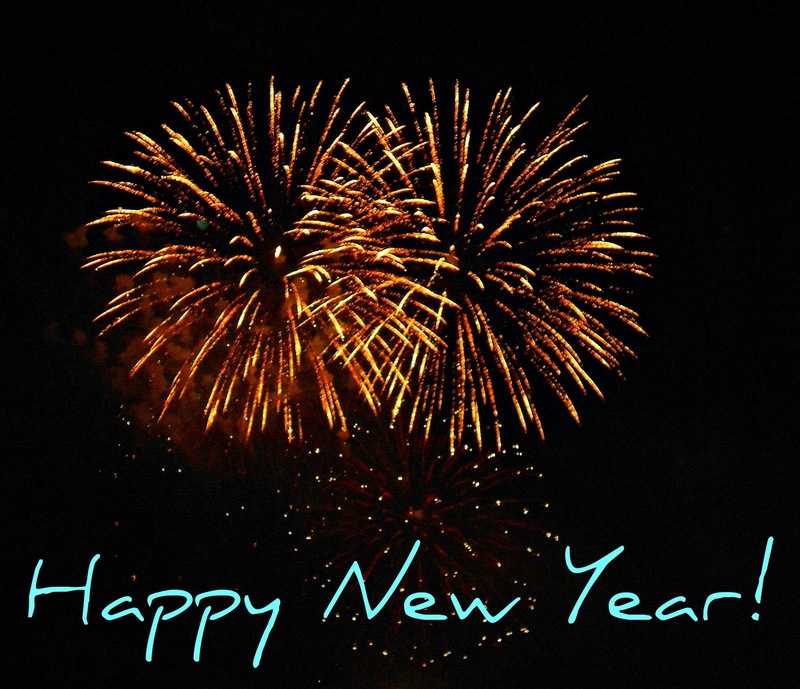 The happiest of Happy New Years to everyone, and a huge thank you for goofing off with me on twitter, commenting on my posts, telling me about your favorite books and authors, and putting up with me when I simply would not shut up books I was excited about and geeky events I attended. I’ll see everyone in January! when it’s time to turn back the clock! * regarding Vintage SciFi Month radio silence: I am a jerk and didn’t e-mail back a lot of people who voiced interest in writing guest posts. I still would love to have you write something. Can be anything scifi-ish or fantasy-ish that is from 1979 or earlier: books, author bios, tv shows, movies, book cover art galleries, radio shows, award winners, geeky events, a short list of suggested books and/or short stories, etc. Send your guest post to me at redhead5318 at the gmail place. comment below or tweet me if you have questions. I trolled the interwebs for a few hours to bring some other folks’ Best (science fiction & fantasy) Books of the Year lists. Do your part to explode everyone else’s wish lists, and toss a link to your Best Of list in the comments! Paul Weimer‘s best of year list includes The Mirror Empire by Kameron Hurley, Ancillary Sword by Ann Leckie and War Stories edited by Jaym Gates and Andrew Liptak. Fantasy Findings best of the year included Sword of the Bright Lady by M.C. 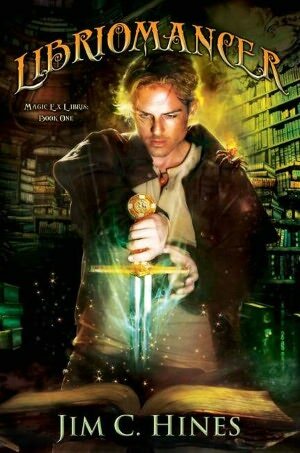 Planck, Libriomancer by Jim C. Hines and The Goblin Emperor by Katherine Addison. Beauty In Ruins didn’t give out many 5 star reviews this year, here are a few of the titles that made his 5 star list: The Providence of Fire by Brian Staveley, Deadlock by Tim Curran, and The Mirror Empire by Kameron Hurley. Books, Bones and Buffy‘s list of top ten adult books had a lot in common with my top 10 list, and included Station Eleven by Emily St. John Mandel, City of Stairs by Robert Jackson Bennett, and Full Fathom Five by Max Gladstone. Her Top Ten YA books list included The Falconer by Elizabeth May, Cruel Beauty by Rosamund Hodge, and Shadowplay by Laura Lam. Best Fantasy Books has an extensive list of this years fantasy favorites, including Words of Radiance by Brandon Sanderson, Prince of Fools by Mark Lawrence, and Fool’s Assassin by Robin Hobb. Eric Smith‘s favorites of the year included Grasshopper Jungle by Andrew Smith, Blightborn by Chuck Wendig, and and Burn Out by Kristi Helvig. 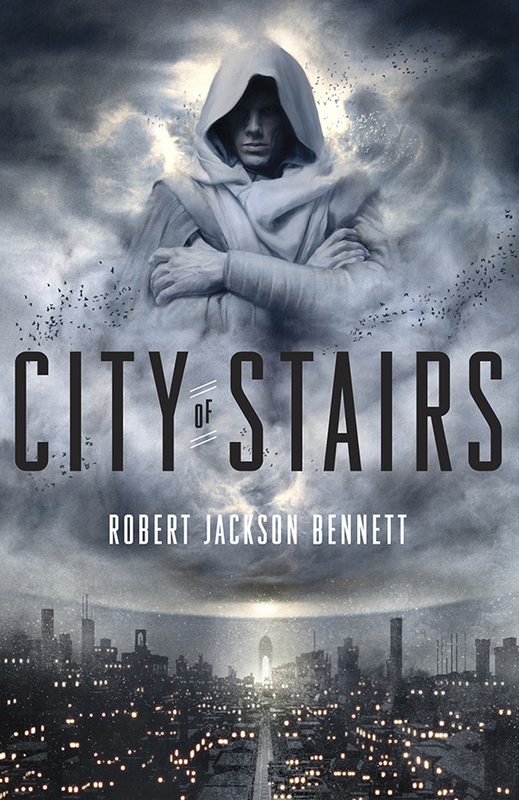 Nerds of a Feather guest posted their favorites, and waxed rhapsodic about City of Stairs by Robert Jackson Bennett, The Eternal Sky trilogy by Elizabeth Bear, and A Darkling Sea by James Cambias. Eamo the Geek‘s best of year list includes Broken Monsters by Lauren Beukes, Fluency by Jennifer Foehner Wells, and Sand by Hugh Howey. Geek Critiqued‘s best of the year list includes The Slow Regard of Silent Things by Patrick Rothfuss, Lock In by John Scalzi, and The Goblin Emperor by Katherine Addison. 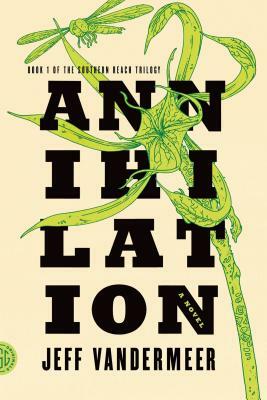 and I suppose this Best Science Fiction and Fantasy list over at Kirkus is the definitive one? Includes Steles of the Sky by Elizabeth Bear, Afterparty by Daryl Gregory, and Defenders by Will McIntosh. Andrea: What is the plot of A Bride’s Story? 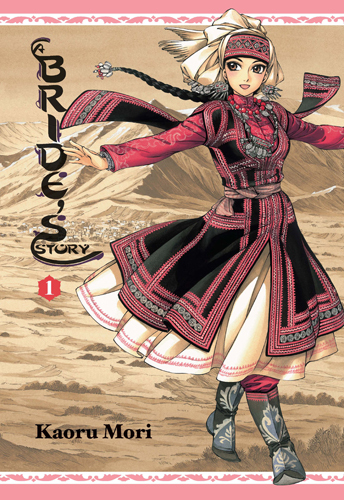 Michael: A Bride’s Story is a manga about the lives and marriages of several women along the Silk Road in the late 19th century. Amir Halgal is the first ‘bride’ and is interesting as she comes from a semi-nomadic clan but marries into a settled clan living in a relatively modern town. Andrea: How did A Bride’s Story come to your attention? What made you interested in reading this? Michael: A Bride’s Story was recommended by a reviewer I follow. I am a historian so anything about a past time and in an unusual place will catch my attention. 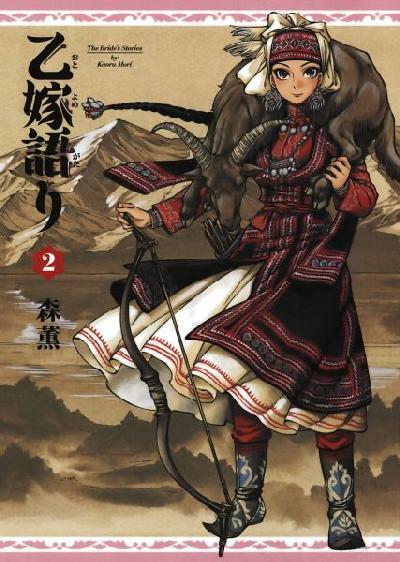 I had heard of Kaoru Mori’s earlier manga Emma so I new the author was interested in detailed, accurate historical fiction. ConFusion is a science fiction/fantasy convention held in Detroit every January. This year’s special guests include Karen Lord, Ted Chiang, Joe Abercrombie, and Steven Erickson. Something I love about ConFusion is the huge variety of science, writing and literary panels: everything from building languages for your fantasy world, to optimistic far future science fiction, to romance in fantasy and scifi, to writing good fight scenes, to demos for swordplay, to cosplay photography, to building colonies on Mars, to fun with liquid nitrogen, to remote control Daleks, to well, you get the picture. It’s one of those Cons where there are ten activities every day you want to go to, and three of them are happening at the same time, and in the end, exhausted, you end up at the bar having a drink with some author or other. 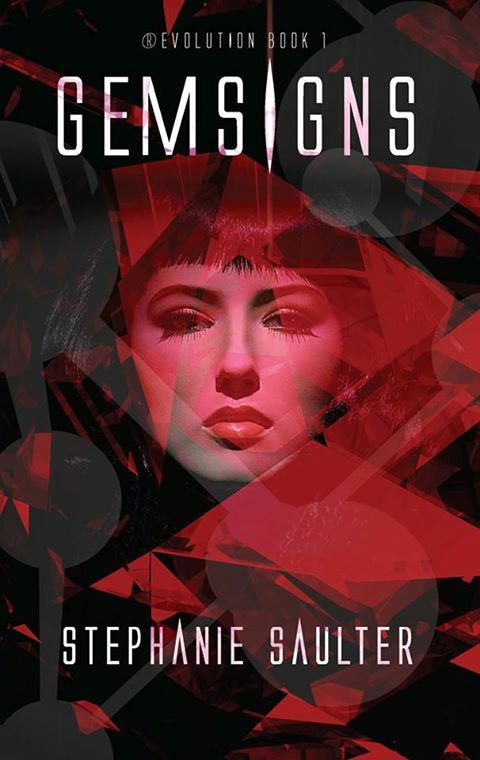 Learn more about ConFusion at their website, and at their Facebook page. Saturday 6pm: What Should I Read Next? Reviews are not for authors, they’re for fans. But many authors are engaged, critical fans. How can authors engage with fans without creating a chilling effect on criticism? Saturday 9pm: Is Paradox Really So Bad? So there you are, back in 2015, and you almost run right into yourself! But really, who cares? Is the universe really going to end? Or will you just walk away saying “Well, that was the most screwed up thing I’m going to see today?” How bad would time travel paradox be, really? Starting and running your book review blog, how to get ARCs, and more. Sunday 2pm: Wait, There’s More to Comics than Superheroes? Superheroes remain popular comic book characters — but comics can be any subject matter or genre. What are your favorite comics with unusual themes and characters? wow, that’s gonna be a busy Saturday evening! and an exciting Sunday! the unscheduled event I’m planning to be at is Saturday 10pm: the bar. Someone save me a seat. Will you be at Confusion? Let me know, so we can try to meet up! Are you on a panel with me? Tweet me or comment below, and we can chat a little ahead of time. I’m looking forward to meeting you! Raised on the glorious and romantic epics of old, Gareth knows all the songs and heroic tales. He can tell you verse by verse exactly how the hero slayed the monster with one swing of his gleaming sword. And it must be true, because that is how the story goes. On the words of ballads, Gareth travels north to find John Aversin, the Dragonsbane. The most honorable man in the kingdom, John slayed a dragon and asked no reward in return. Out of love for King and kingdom, he put his life at risk and returned victorious. All the stories Gareth learned were wrong. To Gareth’s court trained eyes, all he sees in John Aversin is a northern barbarian who is more interested in animal husbandry than slaying dragons. Sickened by the thought that John’s mistress Jenny Waynest is a magewitch, Gareth can barely look her in the eye. John lives his life by living his life – a passionate but untrained naturalist, he fills his libraries with what books can be found, learns from the local farmers, and is more sad that the dragon he slayed decomposed before he could study it than proud that he killed it. John sees the journey south as a bargaining opportunity. If he saves the capitol from a dragon, the King will have no choice but to send troops and support north to help rebuild the crumbling northern territories, right? As Gareth, John and Jenny journey south, it becomes pretty obvious Gareth isn’t telling them the whole truth. Some of it you’ll guess, and some comes out pretty soon, but there are nasty surprises awaiting them once they reach the King’s court. But that isn’t what this book is about. Let me tell you all about Jenny Waynest. 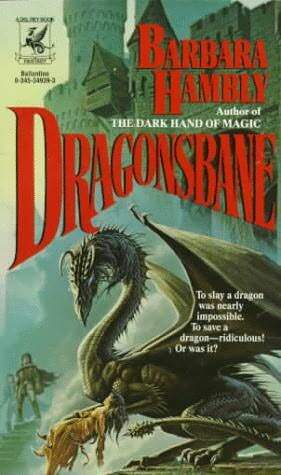 Because without her, Dragonsbane would be exactly the bland tropey adventure story that the cover art leads you to think it is. Today I’m thrilled to be talking with Stephen Gee, who recently released his debut novel Wage Slave Rebellion. I’ve known about Stephen for a while, I just didn’t realize I knew him. Lemme ‘splain. My husband watches a lot of anime, reads a lot of anime reviews online, and talks about those reviewers whose reviews he follows and opinions he respects. The name “Stilts” kept coming up over and over again. So I started following Stilts on twitter, and we’d tweet back and forth from time to time (my anime preferences seem to be begin and end with Hiromu Arakawa, but whatever). 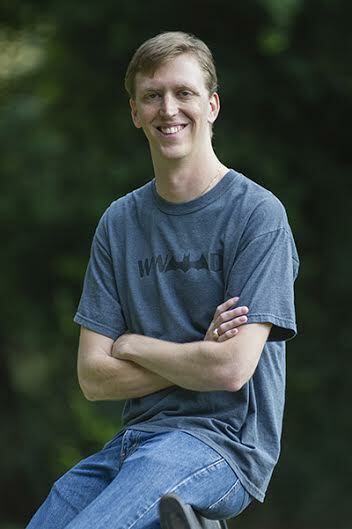 I eventually got a very nice e-mail from Stilts, and we chatted some more. Turns out his name is Stephen, he’s really cool, and he’s got a novel out! Wage Slave Rebellion is Stephen Gee‘s debut novel, and you can head over to Random Curiosity for the big reveal party. Head over there, check it out, then come on back here for my interview with Stephen. Little Red Reviewer: Congratulations on your debut novel Wage Slave Rebellion! What’s the quick elevator pitch for the book? 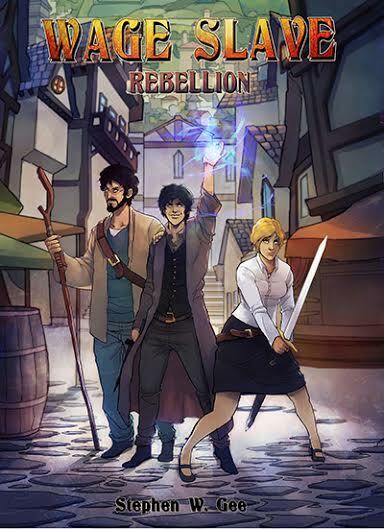 It’s sort of an old-meets-new, a medieval-style fantasy setting (swords, spells, monsters, etc), but with modern themes such as job dissatisfaction, refusing to accept mediocrity, and living life to the fullest that many people grapple with today. Add in explosive action and plenty of funny banter, and it’s a lot of fun! LRR: Who is your favorite character in the book? Who was the hardest to write?